Eventually I would love to replace the laminate flooring that I recently painted white, with solid wooden floors. The existing downstairs laminate was there when I moved in and instantly caught my eye as it gives a seamless look to the downstairs rooms. 7 years later, it is a little bit tired although much improved by its recent coating of floor paint. Hopefully in the next couple of years I will look to invest in a real oak floor. I think wooden floors are a really attractive option and with being so hard wearing are a great option for any home. 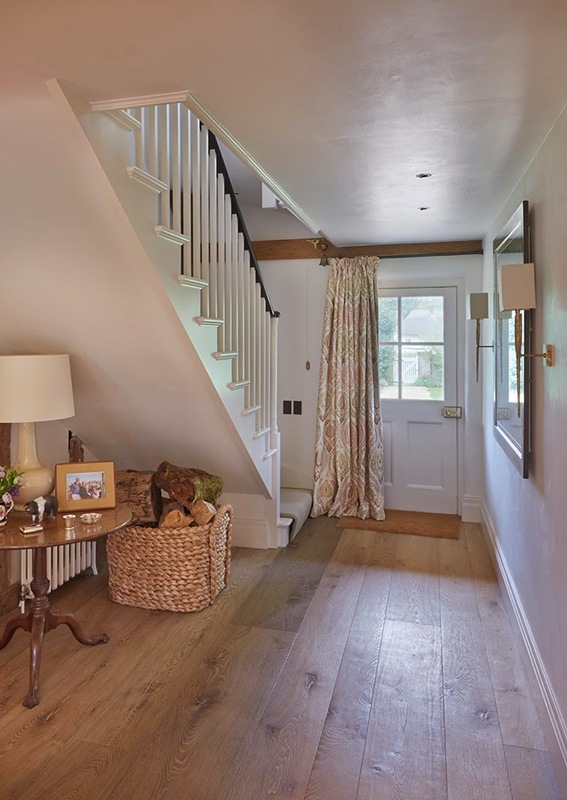 The look that I long for is a country feel with a beautiful entrance hallway upon opening a period style front door.Basket of logs in the corner, all very earthy looking and green curtains. A wooden floor then a smooth transition from hall to reception rooms. With having dogs, wooden floors once they get used to the tap-tap of it with their claws, is a great choice for keeping the home looking clean and tidy. No carpets retaining dust and dog hair and very easy to clean and maintain. 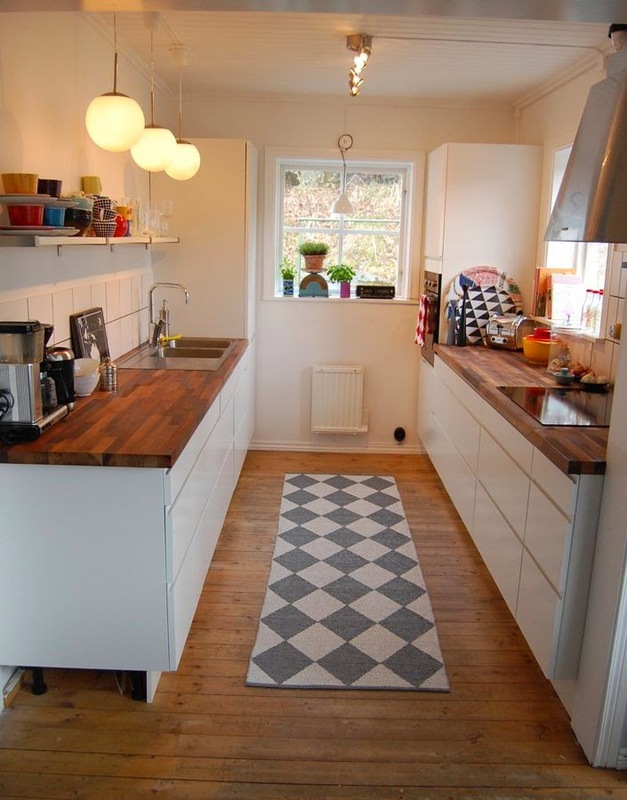 Having wooden flooring in the kitchen would also look great and I'd prefer it to our current dark tiles. 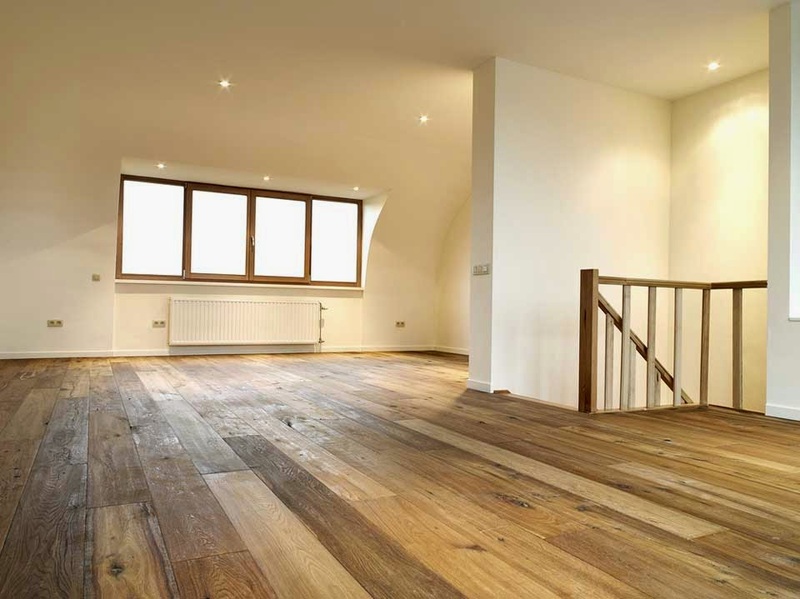 Wooden floors throughout the ground floor would really make the house feel more spacious. I love the cute geometric rug used here and I do like using rugs to change the feel of a room and to cosy it up. 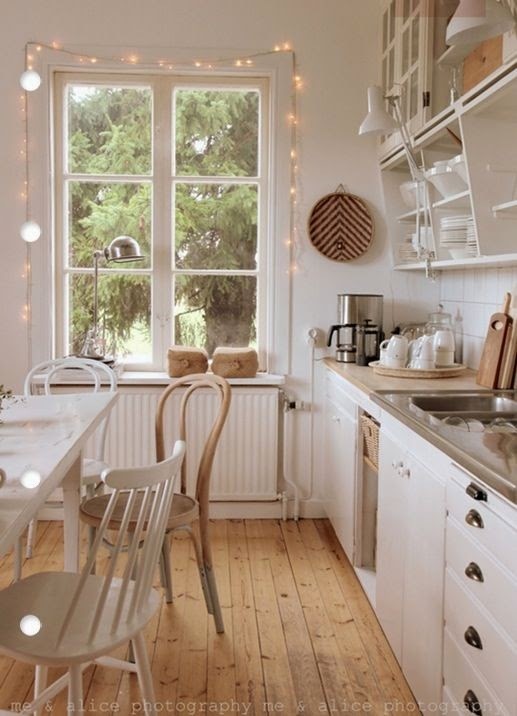 The simplicity of wooden floors and white walls is a minimalistic look that I aspire to. I just need to have a huge clear out of all my clutter first! When I come to sell the house too, a solid wood floor will be such an eye catching selling point and adds value to your property. They will never go out of fashion. Certainly I don't think I could ever go back to carpet and I love being able to change the decor easily, as all schemes look great with a wooden floor. Plus as my son demonstrates every day, they are great for playing on and will withstand heavy traffic, even that from scooters and cars being hurtled across the room. Do you have an wooden floor or plan to have one? I had laminate and now I have carpets. I love carpet, looks cozier and it's so much better for us. Hubby and I workout at home and having thick carpet and luxury underlay means the jumps are safer. We have a dog and the hair is a pain, but we bought a Dyson and it made our lives easier. I agree that solid oak looks amazing, my the kitchen worktop is solid oak and it's great. Easier to maintain (after it was coated with a resin type of varnish) and beautiful to see every day. Yes dog hair, the bane of my life :) Solid oak kitchen worktops, very nice! I inherited some but they hadn't been maintained so I replaced them at the end of last year with white granite.